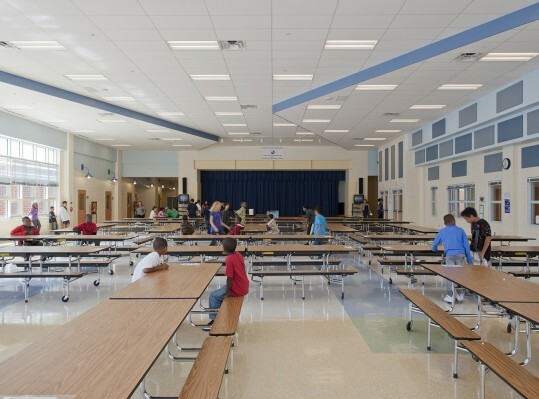 Montgomery County Public Schools analyzed the physical condition of an existing 120,000 SF school and its functional layout with respect to middle school requirements and decided to demolish and enlarge the school to 145,000 SF to respond to the educational specifications developed by the County. 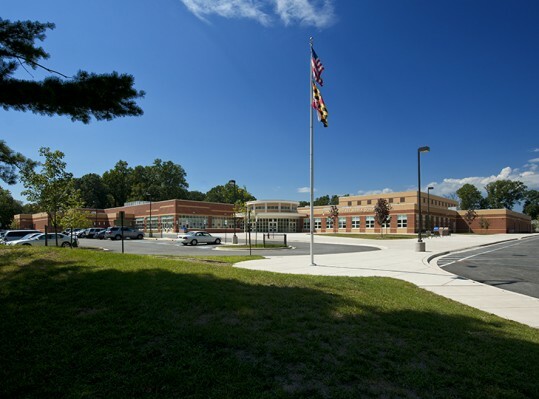 Constraints on the redesign included retaining the landscaped hill in front of the school, retention of the existing playing fields, respecting a buffer from sensitive environmental areas, achieving separation between an enlarged bus loop and personal vehicles, and following sustainable design principals. 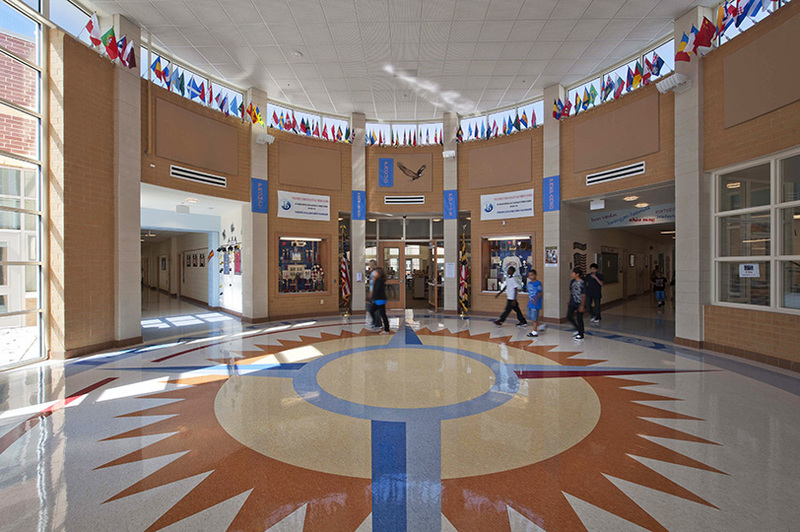 The new school is a 145,000 SF courtyard plan with a one-story portion with administration and cafeteria in front with a two-story classroom area to the rear of the site. 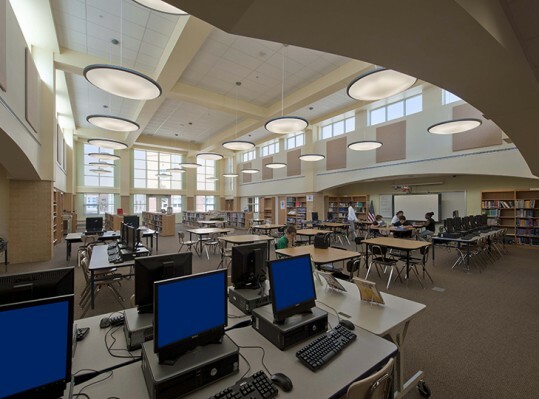 The facility is designed with a core capacity of 1,200 but with an opening capacity of 900 and focuses on the media center and courtyard which is a programmed space. 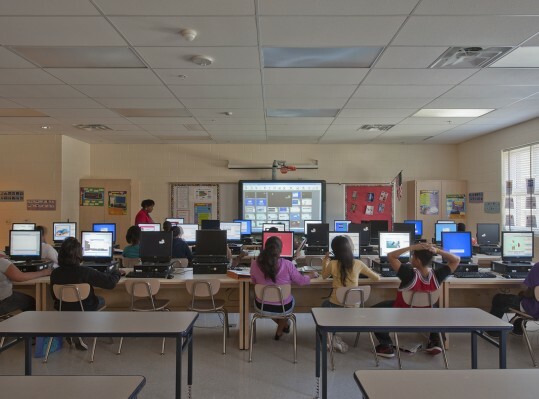 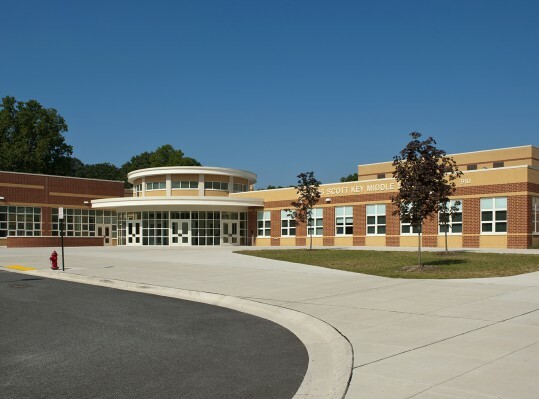 The school follows the middle school model which provides identifiable areas for 6th, 7th, and 8th grades. 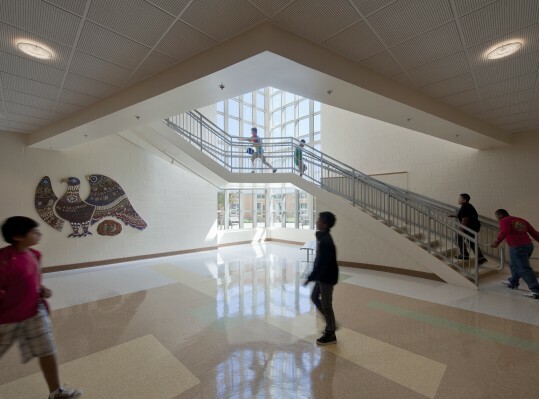 This project is certified LEED Gold® and was awarded the U.S. Department of Education Green Ribbon Schools Award.